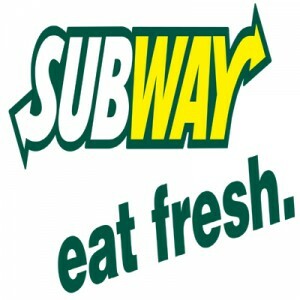 Subway is one of the fastest growing fast food chains in America, it is a restaurant that primarily serves sandwiches (called ‘subs’) and fresh salad dishes. The franchise is famous for serving its foot-long ‘subs’, most specially the all-time customer favourite BMT (Biggest, Meatiest, Tastiest), which is composed of pepperoni, ham, and salami. Subway experienced phenomenal growth from being a small sandwich stop-over to a multinational fast food franchise. The company established its first branch outside of North America in 1984. It got its first franchise deal in the United Kingdom in 1996. Eventually, the company outgrew McDonald’s franchises inside Walmart stores in the U.S. by 2007. It has over 44,834 locations across 119 countries and is still on a growth spurt even after being named as one of the top fastest-growing franchises in 2015 by Entrepreneur magazine. The shop employs an approximate of 328,000 to 492,000 individuals worldwide who are ready to serve its 68 million daily customers. The franchise prides itself for providing the best employee benefits package and organizational development initiatives to boost employee motivation and morale. Subway offers excellent health insurance, occupational accident insurance, performance bonus programs, supplemental worker’s compensation, flexible hours, medical, paternal, maternal and extended leave credits, as well as an amazing 401(k) retirement plan for its employees. In any fast food chain, work environment will always be on fast paced roll. But what makes the difference between this franchise and other fast food chains is its proactive employee management approach. The shop values individual growth and development while staying true to its commitment to foster diversity and inclusion in the workforce. To get hired as a ‘sandwich artist’ in any of the shop’s 44,000+ franchise locations, you must be at least 16 years old. However, positions for management and other job offers may require the minimum hiring age of 18 years old. Store Manager: Store managers are in charge of day-to-day operations of their designated branch location. Store managers oversee all staff and crew in the store and keep the store supplies intact. Full-Time Assistant Manager (Co-Manager Trainee): The company is hiring assistant manager trainees that will undergo an intensive training program. This job offer is a career opportunity to learn more about organizational development, human resources and staff performance management while assisting with the store manager’s tasks. Senior Sandwich Artist: Senior sandwich artists are the engineers of innovation. Senior sandwich artists are responsible for thinking of new and creative ways in dish preparation and presentation. Sandwich Artists: The crowning glory of store operations are the franchise’s sandwich artists. Sandwich artists will develop the skill of mastering the art and the science of making the perfect sandwich to suit customer preference. Shift Manager: Shift Managers are leadership positions that develop and directly manage crew members. Shift managers are also responsible for overseeing the quality of customer service and serves as liaison to the management team. Restaurant Sales & Marketing Assistant: Restaurant sales and marketing assistant supports the manager and offers assistance in coming up with ideas to help boost restaurant sales. Research is also an integral part of the job as sales and marketing assistants are expected to conduct consumer behaviour studies among others. Field Consultant: The field consultant’s primary task is to provide franchise owners all the operational support they will ever need. Field consultants are the direct point of contact for all franchise ownerships. They ensure that all franchise locations are keeping with restaurant standards, operations protocols and all government regulations that apply. Shift Supervisor: Shift supervisors are expected to coach staff members on how to deal with customers appropriately. Shift supervisors are also in charge of ensuring that the store is compliant with all federal, state and restaurant rules, policies and regulations. Business Consultant: Business consultants are professional full-time positions that are in charge of evaluating and consulting with franchisees and managers. Employee Trainer: An integral part of human resource management is staff development. Employee trainers will be in charge of orienting new hires and providing the necessary training for crew members towards better team performance. How to Apply? Applying in any of the shop’s franchise locations is relatively easy. You can browse their website online and file an application or simply visit a shop that’s still hiring. Job applications are processed depending on the type of job you’re looking for. For local franchise locations, branch managers usually do the interviews whereas regional and corporate jobs are done by HQ officials. Application online is available. Online applications are accepted via the company’s career website. Tips for filling application form. The application form is designed to look into the applicant’s educational profile, personal background and employment records. Advice on resume. As for most fast food chains, resumes and CVs are not required in the application process unless otherwise requested by management. Advice on interview preparation or process. The sandwich giant’s interview procedure is meant for the company to understand how you see your career growth in the next few years. Common questions would include ‘where do you see yourself in five or ten years’ time?’ or ‘List three words that describe your personality and explain why’ among others. Additional questions revolving around your experience in handling food may also be asked. The sandwich franchise’s bold and courageous strategy is to target the thriving night life in the locations where it is established. Critics have always noted how the company is always willing to set up shop in the most unusual locations. This is because the company seeks to be the go-to place for the late night crowd and pub-goers who are craving for meaty sandwiches after a hard day’s work and a long night’s drink. 1 How old do you have to be to work at Subway?